6. Spread into prepared pan, compressing lightly with the back of your spoon. Don't press too hard or you'll crush the cereal. 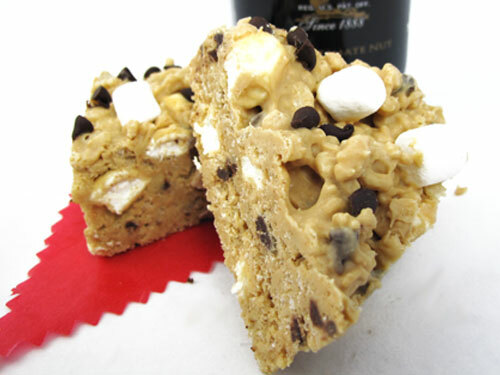 Sprinkle with remaining chocolate chips and a handful of marshmallows and press lightly to adhere.